LADY ANTEBELLUM’S HILLARY SCOTT DOES A GENDER REVEAL TIMES TWO ON HER SOCIALS. Hillary celebrated National Bump Day on Wednesday (September 13th) with a shot of her own baby bump and urging other mothers-to-be to share their photos. In August, Hillary and her husband told fans they were expecting twins, while bandmate Dave Haywood also revealed his wife Kelli was pregnant with a baby girl in December. Chris Stapleton and Alan Jackson have been added to the list of performers at this year’s ACM Honors. 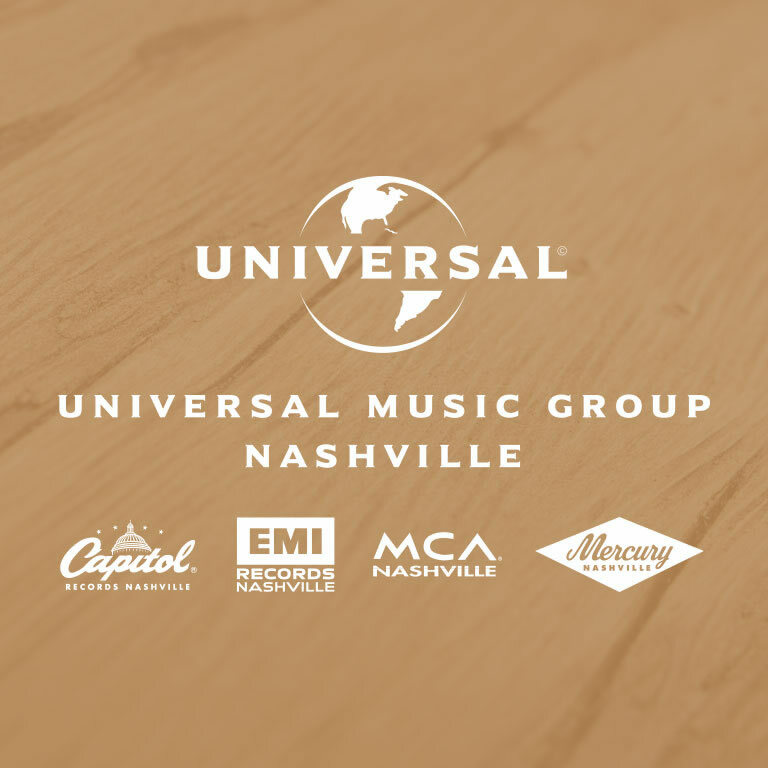 They join previously announced performers Little Big Town, George Strait, Lady Antebellum’s Hillary Scott, Vince Gill, Toby Keith, Brad Paisley, Thomas Rhett, Maren Morris and others. Eric Church, Reba McEntire, Dolly Parton and Willie Nelson are among the honorees, in addition to Strait and Kelsea Ballerini. The show, which tapes next week at Nashville’s Ryman Auditorium, will air September 15th on CBS. Little Big Town’s Jimi Westbrook and Phillip Sweet took time out to catch the Tennessee Titans practice on Thursday (August 17th). Darius Rucker is set to perform in his hometown of Charleston, South Carolina for the first time in four years October 22nd. He will take the stage at Volvo Car Stadium on Daniel Island just two days after the release of his fifth studio album, When Was the Last Time. Tickets go on sale Friday (August 18th) at 10am at Ticketmaster. Clare Dunn returned home to Colorado last week to headline the Sand and Sage Round-Up Kick-Off concert, drawing one of the largest crowds in event history. Prior to her performance, Clare hosted a VIP charity party including a silent auction, autographed memorabilia, an acoustic performance and more, which raised over $25,000 for the Colorado FFA Foundation and Children’s Hospital Colorado. EARLY BILLBOARD MUSIC AWARDS WINNERS INCLUDE CHRIS STAPLETON AND HILLARY SCOTT & THE SCOTT FAMILY. Early Billboard Music Award winners include Chris Stapleton and Hillary Scott & The Scott Family. Chris picked up the award for Best Country Album for his double-platinum, Traveller. THE BILLBOARD MUSIC AWARDS 2017 NOMINEES. Sam Hunt will perform his mega-hit “Body Like a Back Road” during Sunday night’s (May 21st) Billboard Music Awards. Luke Bryan is nominated in the all-format fan-voted Billboard Chart Achievement category, as well as for Top Country Tour. 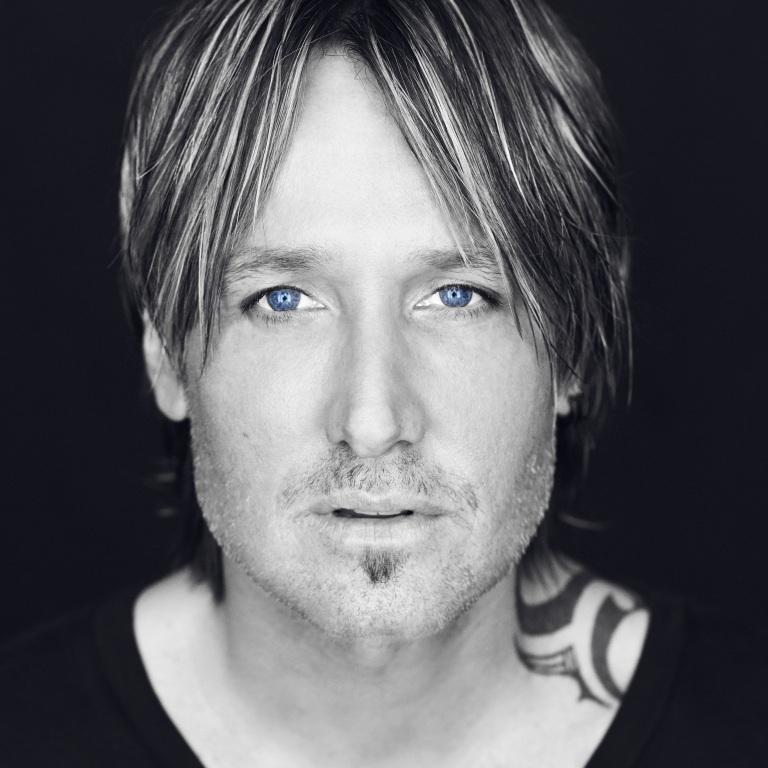 Keith Urban has several BBMA nods, including Top Country Album for Ripcord and Top Country Song for “Blue Ain’t Your Color,” as well as a nomination for Top Country Artist. Chris Stapleton is up against Keith as Top Country Artist, as well as Top Country Album for Traveller. Little Big Town’s “Better Man” is up for Top Country Song, while Dierks Bentley’s “Different for Girls” featuring Elle King, Eric Church’s “Kill a Word” with Rhiannon Giddens and Vince Gill’s appearance on Chris Young’s “Sober Saturday Night” are up for Top Country Collaborations. The Billboard Music Awards will air live from the T-Mobile Arena in Las Vegas beginning at 8pm ET on ABC. LUKE, CHRIS, KEITH, LBT, DIERKS, ERIC, VINCE AND HILLARY SCOTT & THE SCOTT FAMILY ARE NOMINATED FOR BILLBOARD MUSIC AWARDS. The nominees for the 2017 Billboard Music Awards were announced and several of your favorite country artists are up for awards. Luke Bryan is nominated in the all-format fan-voted Billboard Chart Achievement category, as well as for Top Country Tour. The Billboard Music Awards will air on May 21 at 8PM on ABC. HILLARY SCOTT & THE SCOTT FAMILY PICK UP TWO GRAMMY AWARDS. Hillary Scott & the Scott Family picked up two Grammy Awards on Sunday night (February 12th). During the pre-telecast, Hillary, her mother Linda Davis, father Lang Scott and sister Rylee were in tears accepting trophies for Best Contempoary Christian Music Performance/Song for “Thy Will” and Best Contemporary Christian album for Love Remains. Audio / Hillary Scott reveals the meaning behind the song, "Thy Will," from Love Remains, which she recorded with her family and which just won a Grammy Award. The GRAMMY Awards will be handed out on Sunday (February 12th), and several of your favorite country artists may be walking away with a trophy. Keith Urban has nominations in three categories, including Best Country Solo Performance for his recent multi-week No. 1 song, “Blue Ain’t Your Color,” which is also up for Best Country Song. His record, Ripcord, competes for Best Country Album. Vince Gill scored a couple of nominations, including Best Americana Roots Song for penning “Kid Sister,” which is also the title of his Best Americana Album with his band The Time Jumpers. Hillary Scott & the Scott Family are nominated for Contemporary Christian Song for “Thy Will” and Best Contemporary Christian Album for Love Remains. Keith Urban will perform his latest single, “The Fighter,” with Carrie Underwood. Little Big Town will also perform on the show, in addition to previously announced performers Maren Morris, Adele, The Weeknd, Alicia Keys, as well as Sturgill Simpson, Gary Clark, Jr. and Chance The Rapper. The 50th Annual Grammy Awards, hosted by James Corden, will air live from the Staples Center in L.A., February 12th at 8pm ET on CBS. Audio / Keith Urban talks about recording the song, “Blue Ain’t Your Color,” from his album Ripcord. Audio / Keith Urban talks about the correlation between the adrenaline rush of pulling a ripcord from a parachute and the hope that those feelings are captured in the diversity of the songs on his new album, Ripcord. Audio / Dierks Bentley talks about having Elle King sing on the song, “Different For Girls” on his new album, Black. 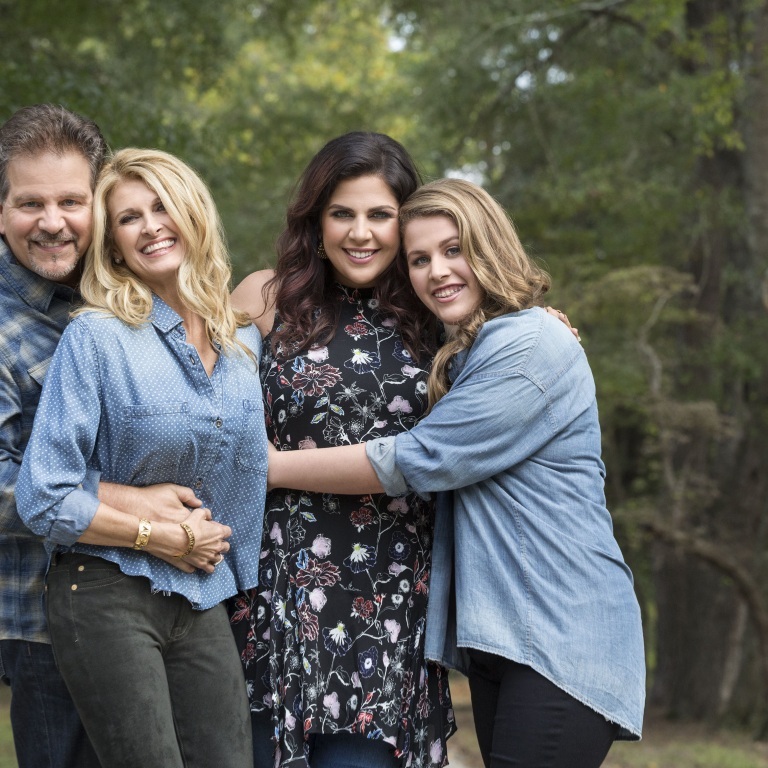 Audio / Hillary Scott is so excited to be nominated for two Grammys for her faith-based song "Thy Will" and the album she made with her family, Love Remains. HILLARY SCOTT & THE SCOTT FAMILY SHARE THE HOLIDAYS TODAY. Tis the season for close-knit gatherings as the current two-time GRAMMY-nominated Hillary Scott & The Scott Family invite TODAY along to celebrate the holidays. From her home just outside of Nashville, TN, Hillary Scott sits-down with Jenna Bush Hager to recall favorite Christmas traditions and discuss the impact of the group’s GRAMMY-nominated “Best Contemporary Christian Music Album” LOVE REMAINS, which also received a “Best Contemporary Christian Music Performance/Song” nod for its chart-topping single “Thy Will.” Fans can tune-in to watch Hillary alongside her mother Linda Davis, father Lang Scott and younger sister Rylee, next week on Dec. 21st (7:00A CT on NBC) as they join together around the piano to reprise their favorite carols and holiday stories. The “tenderhearted family collaboration” (People) behind LOVE REMAINS is the mix of the rich, entwined voices of the Scotts, on “new co-writes, lesser-known oldies and time-honored gospel staples” (Rolling Stone). The 13-track collection of faith-based songs was produced by Ricky Skaggs and are a collection of songs that find the redemption in struggle, the peace in death and the joy in bonding with family members whenever times are tough. 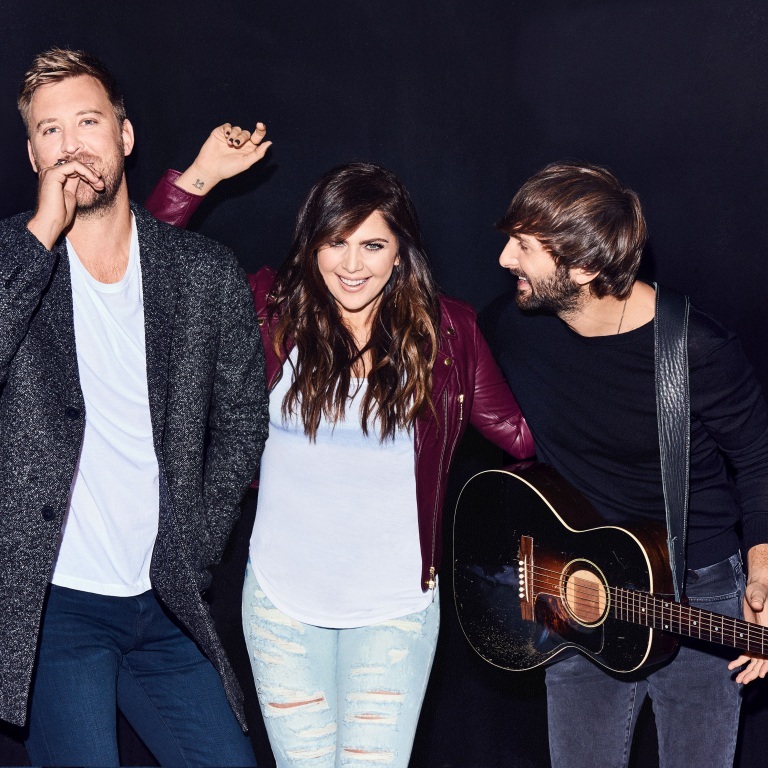 LOVE REMAINS follows more than 18 million album sales worldwide for Hillary Scott as one-third of the one of the world’s most popular groups, Lady Antebellum. The trio has made nine trips to No. one, earned seven GRAMMY awards and has been dubbed ACM and CMA “Vocal Group of the Year” three years in a row. For more information on new music, a full list of upcoming tour dates and more, visit www.hillaryscott.com. The nominations for the 50th Annual Grammy Awards were announced, and Keith Urban picked up three nods, including Best Country Solo Performance and Best Country Song for his current smash, “Blue Ain’t Your Color,” while his album, RipCord competes for Best Country Album. Hillary Scott & the Scott Family are nominated for Contemporary Christian Song for “Thy Will” and their album, Love Remains. The 50th Annual Grammy Awards, hosted by James Corden, will air live from the Staples Center in L.A. February 12th at 8pm ET on CBS. Audio / Keith Urban talks about recording the song, “Blue Ain’t Your Color,” from his new album Ripcord. Audio / John and TJ Osborne of Brothers Osborne explain how they work together as a duo. Audio / Hillary Scott says the new album, Love Remains, is about leaving a mark and the person she wants to be. Hillary Scott & The Scott Family‘s “Thy Will” has hit No. 1 on the National Christian Audience Chart. Additionally, the single holds the No. 1 position on Billboard’s Christian Digital Songs chart for the 13th consecutive week along with the No. 1 spot on Billboard’s Hot Christian Songs chart for the seventh week. Written by Hillary Scott, Emily Weisban and Bernie Herms and co-produced by Ricky Skaggs and Herms, the vulnerable track is the lead single from the faith-based album LOVE REMAINS, which hit the No. 1 spot on Billboard’s Christian Albums chart upon its July 29th debut. LOVE REMAINS continues to impress after a warm reception from fans and critics alike. LOVE REMAINS follows more than 18 million album sales worldwide for Hillary Scott as one-third of the one of the world’s most popular groups, Lady Antebellum. The trio has earned six PLATINUM singles and dubbed ACM and CMA “Vocal Group of the Year” three years in a row. For more information on new music and more, visit www.hillaryscott.com.